There is a reason Eliza Herman hasn’t taken up her rightful place as a Descendant of Eros and gone into the family business and it’s not only because she doesn’t particularly believe in the capital-L Love; it’s also that she believes she’s the worst Cupid ever born to this Earth. Disaster seems to strike whenever she tries to cast an enchantment on someone. But when the family needs her to step in after her father falls ill, Eliza is prepared to help out. To do that, though, she has to re-apply for her cupid license and as luck would have it, Eliza’s mentor is none other than her childhood crush Jake Sanders. After Jake is accidentally enchanted by Eliza, they set ground rules to keep the attraction at bay until it wears off after the full moon. But when ALL of Eliza’s enchantments start to backfire, and couples end up hating one another, Eliza and Jake will have to work together to set things right. Along the way, they’ll learn that sometimes rules are meat to be broken. I really enjoyed the world that Amanda Heger has created. A world with Descendants—those whose lineage can be traced back to one of the original gods (i.e. Athena, Eros, Apollo, etc. ), but Erosians (aka Cupids) are the only ones that have revealed themselves to the public as a whole and have subsequently built their livelihoods upon matching people together. 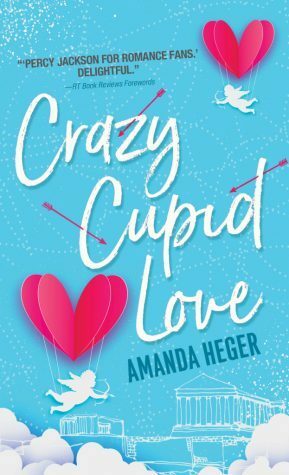 Amanda Heger brings modern-day grievances into the cupids’ lives as they have to compete with the ever-growing field of technology overshadowing the more traditional ways to pair people together—such as the bow and arrow approach. Unfortunately, there was a lot thrown at the reader in this first installment regarding the history of Descendants. We have to understand the job of cupids within the modern society as well as their almost ostracization by other Descendants due to the fact that they outed themselves. 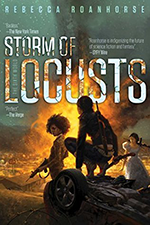 All this coupled with Eliza’s overarching storyline is a lot to take in on a first book. Fortunately, my interest has been piqued and I look forward to seeing which avenue Amanda Heger takes with the story next. Will she continue featuring cupids or will we follow a different Descendant? The possibilities are plentiful for sure. I think it also helps that I liked Eliza so much. Even with things going crazy around her, you can clearly see her kind-heartedness and her willingness to not give up. Supporting a family who has not always been supportive of her “short comings.” Her insecurities were relatable, but clearly keeping her from seeing her true power which runs parallel to her long-held feelings for Jake and vice versa. Crazy Cupid Love was a quirky, fun, light read on par with Molly Harper’s Half-Moon Hollow series. 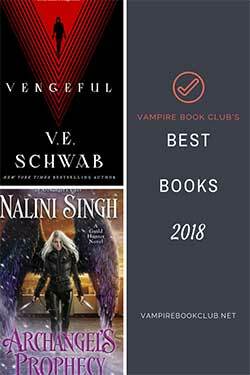 I feel like it’s been awhile since I’ve read a light-hearted romance with paranormal elements and Crazy Cupid Love was a much-needed change of pace.